Dina Kuznetsova as Tatiana and Christopher Magiera in the title role in Eugene Onegin. Through June 27 at the Loretto-Hilton Center, 130 Edgar Road, Webster Groves. Tickets are $25 to $117. 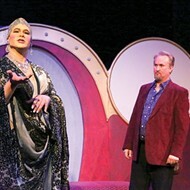 Call 314-961-0644 or visit www.opera-stl.org. Russian composer Pyotr Ilyich Tchaikovsky isn't known for his subtlety. His 1812 Overture is the only symphonic work that requires cannons, making him the direct lineal forebear of AC/DC. So the elegantly understated score to his opera Eugene Onegin will, no doubt, come as a surprise to many. In staging Onegin, Opera Theatre of Saint Louis director Kevin Newbury, conductor David Agler and their spectacularly talented cast use this straightforward and intimate piece of musical theater to create a uniquely satisfying evening of art as entertainment. Eugene Onegin started out as a book-length poem written by the Russian master of that form, Aleksander Pushkin. It's an uncomplicated story: A young country girl, Tatiana, through her example of emotional honesty, teaches the meaning of love to a selfish urban sophisticate. Tragically, he understands too late. Tchaikovsky's score is as unadorned as the plot. Onegin features achingly beautiful melodies woven together in a sinewy tapestry. 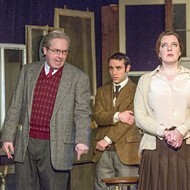 Angler's conducting keeps the musical plots and subplots lean and unambiguous. The crew of Saint Louis Symphony Orchestra veterans in the pit combines clarity and restraint to illuminate this supple latticework of complementary melodies. But this is opera, and ultimately the night belongs to the singers. Everyone in the cast brings their A game. The singing of the text is conversational. There isn't a forced or unnatural syllable. Their acting is spot on, too. 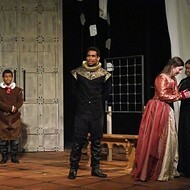 Newbury's singers give performances that reflect the intimate scale of the staging. 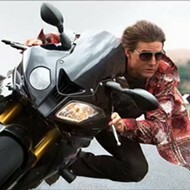 No one goes over the top, and even the most dramatic moments have the feel of everyday life. 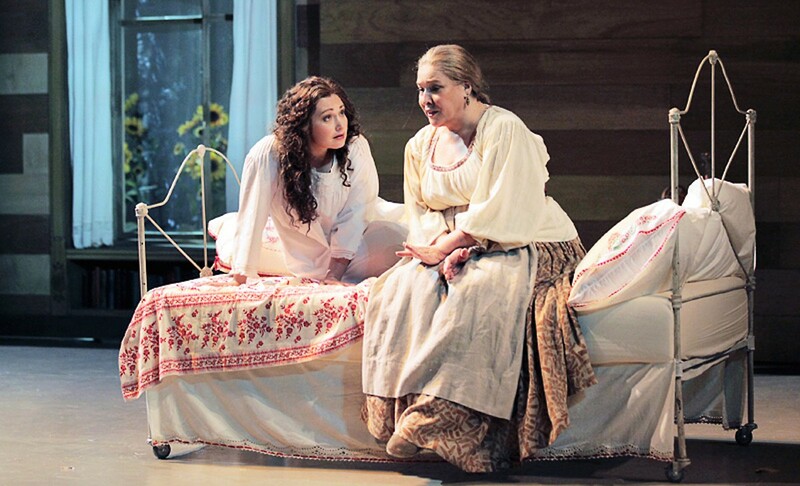 Russian-born soprano Dina Kuznetsova is an experienced Tatiana. She has performed the part at the Opéra de Lille, the Théâtre de Caen and at the Lyric Opera of Chicago. Her voice combines sweetness and power, and she knows how to use both. 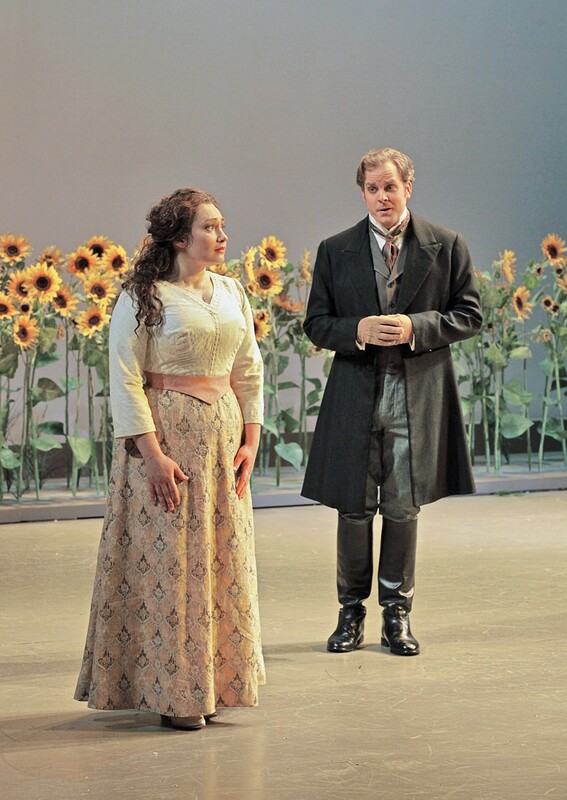 Much of the musical tension in Eugene Onegin emanates from her long, emotional arias, each of which she wrings out completely, from dramatic wails to quiet sobs. 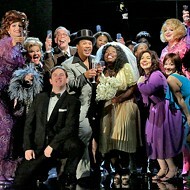 It was a classic soprano performance for which the opening-night audience showed appreciation at every opportunity. Baritone Christopher Magiera makes his OTSL debut as Onegin, while tenor Sean Panikkar (Count Almaviva in last season's Ghosts of Versailles), plays Lensky, Onegin's best friend. Both are compelling actors and stunningly talented singers. Panikkar's ringing, clear tone, exquisite timing and effortless, controlled attack perfectly decant Tchaikovsky's melodies. There is an eloquent sincerity to his portrayal of a simple man who stumbles into tragedy. Magiera's dark, burnished vocals are also both nimble and refined. His interpretation of Onegin has both musical breadth and emotional depth. The supporting singers are every bit as good. Contralto Susan Shafer has played Filipyevna, Tatiana's governess, in several versions of Onegin at regional operas around the United States, and her graceful singing and textured performance enrich their scenes together. 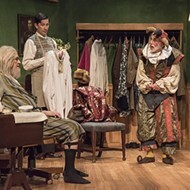 Andrew Drost is delightful and contributes the show's lightest moments with his deft turn as the charmingly silly Triquet. Oren Gradus' polished bass gives heft and believability to Prince Gremin, Tatiana's husband, even though he has a scant few minutes to do so. 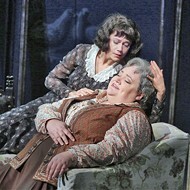 Lindsay Ammann is less convincing as Tatiana's sister, Olga, but her plush contralto is a rare treat. 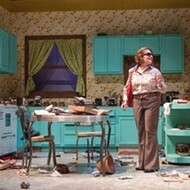 Allen Moyer's set contributes to the aesthetics of the production. It executes to perfection the transition from rustic to elegant and makes complicated effects look easy. Christopher Akerlind's lighting is equally sympathetic and right on key.